Bill Nighy returns as Charles Paris: unsuccessful actor, bad husband and dipsomaniac. Desperately in need of work, having been kicked out of the marital home, Charles jumps at playing a missing property developer in a crime reconstruction programme. But the missing person case soon turns to murder when severed body parts begin to appear. Television ratings soar as the public tune in to discover every gory detail of the case. 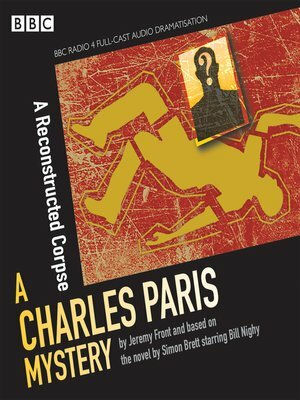 The raging egos and jealous manoeuvrings of the producers, presenters and the police provide a long list of suspects for Charles as he pieces together a macabre jigsaw puzzle of murder Bill Nighy, Suzanne Burden and Jon Glover are among the star cast in this enjoyable mystery, dramatised by Jeremy Front.